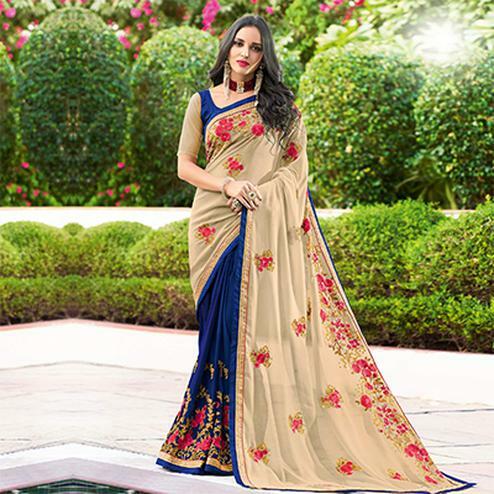 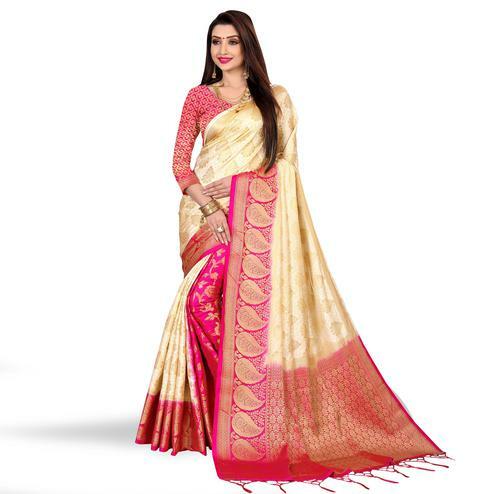 A perfect combination of elegance and glamour this cream color net fabric saree has been beautified with thread zari embroidery and patch border work. 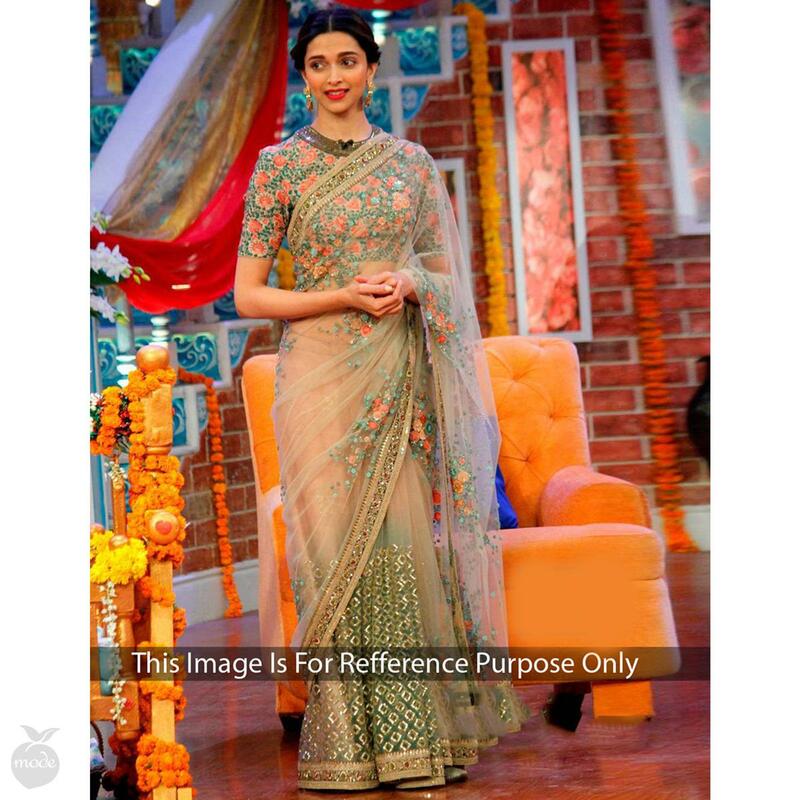 Available with green raw silk fabric blouse piece in unstitched type. 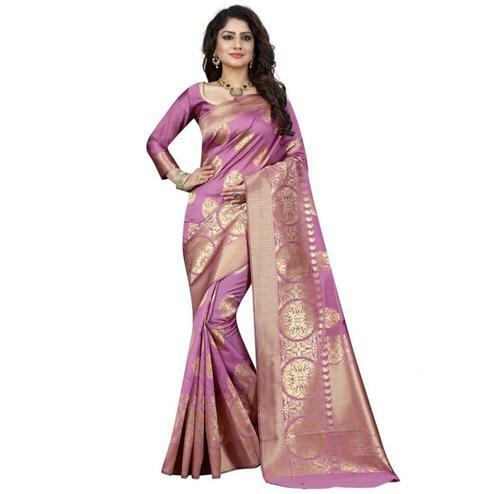 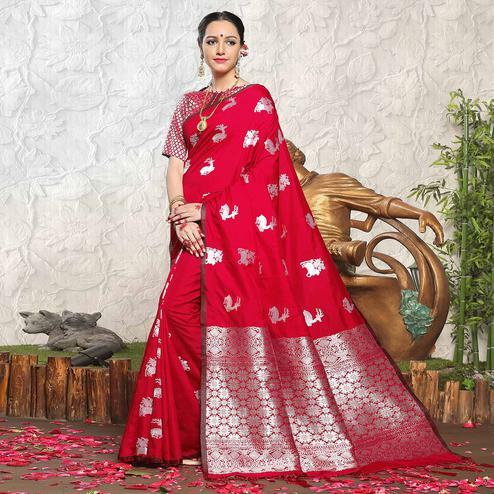 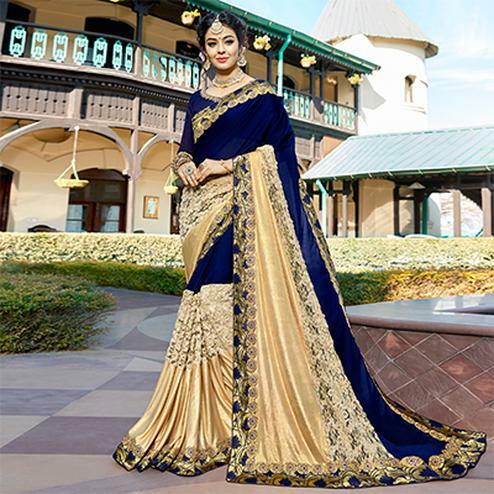 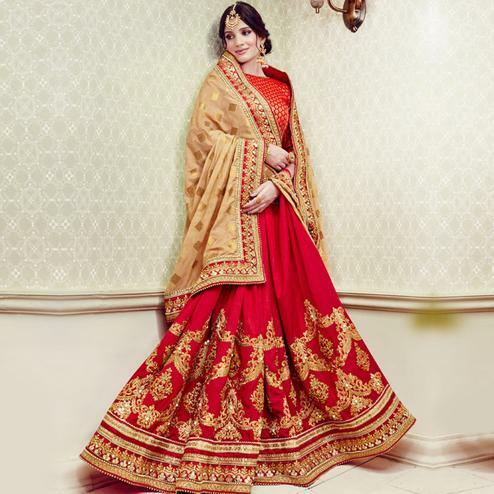 Women can wear this saree for parties functions and occasions.